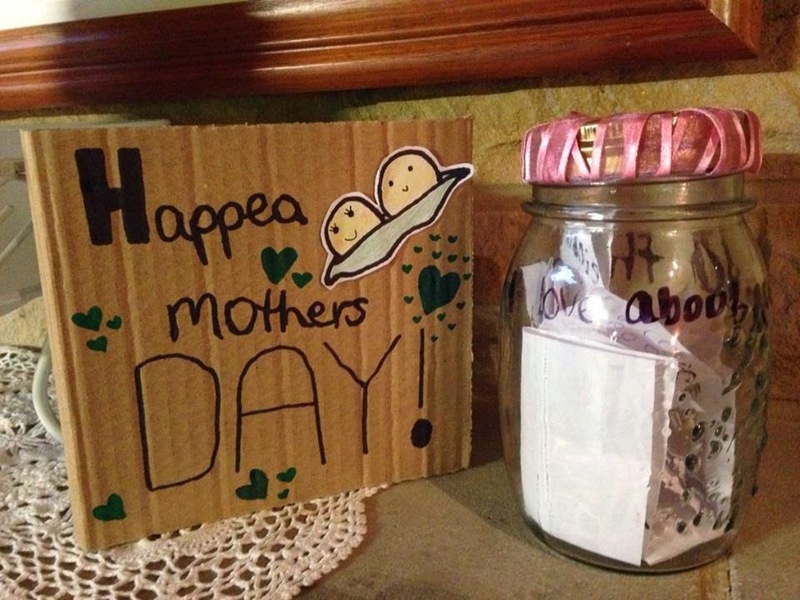 Yesterday was Mother's Day here in Australia. I felt totally spoilt and had a lovely relaxing day. 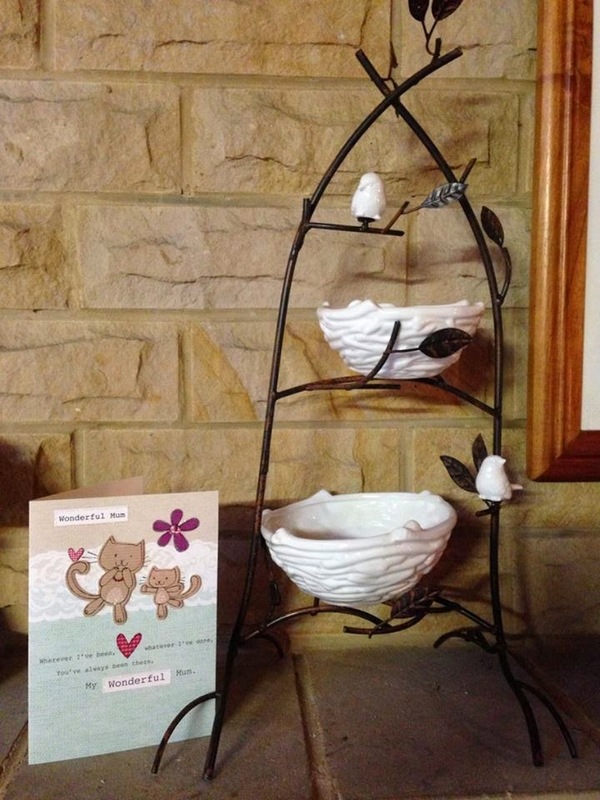 Kaitlin and Steve bought me this adorable Birds and nest stand - It is so unusual and just gorgeous. I will find it a very special spot. 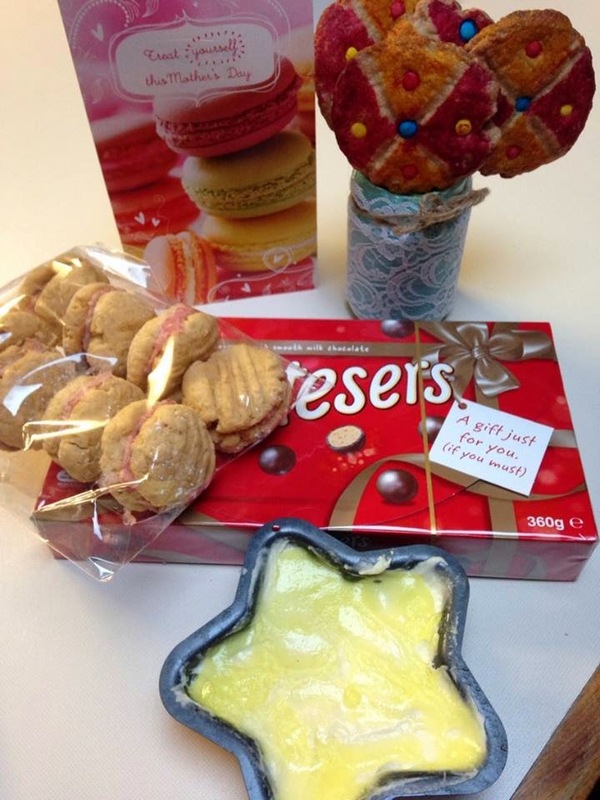 Sam and the grandies had a baking afternoon for "Nanny Fee" on Saturday and presented me with this adorable vase of baked cookie flowers, Lemon Cheesecake and Monte Carlos - What more could a sweet tooth like me ask for? They all cooked dinner for me which was lovely. 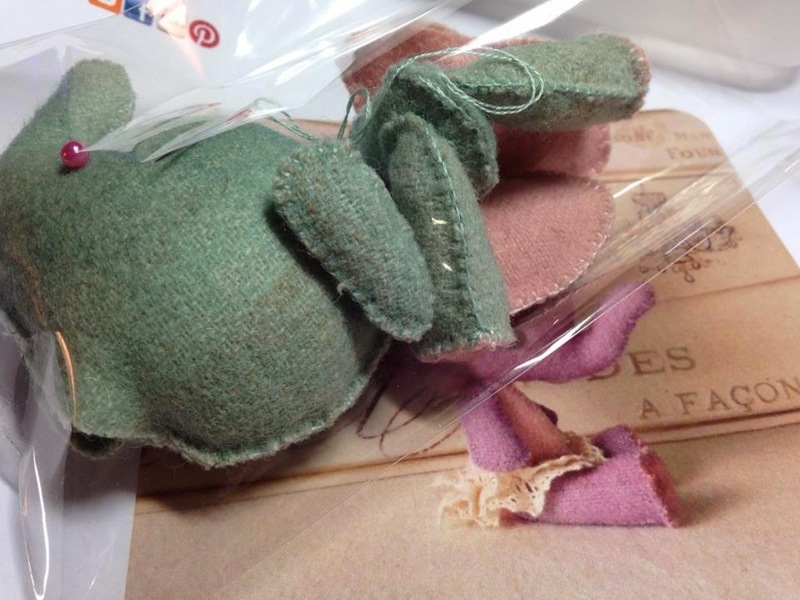 I spent the day finishing off a little elephant doll I had begun the night before. I decided to make her from wool. Sounds like a perfect Mother's Day. 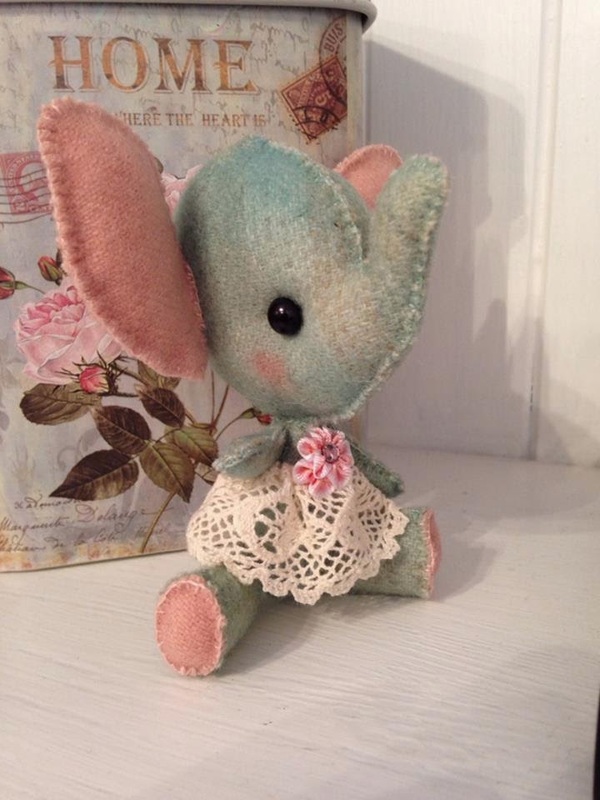 I just love your little elephant, Fee. She is so, so cute! You made out like a bandit on Mothers' Day and you deserved it!! I just love your little elephant. Can't wait to see Number 2 doll!